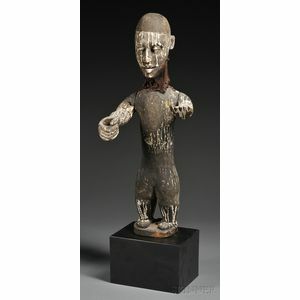 African Carved Wood Marionette, Ogoni, the standing male figure with articulated arms, neck (? ), and lower jaw, black and white pigments, (wood loss), includes stand, ht. 23 1/2 in.